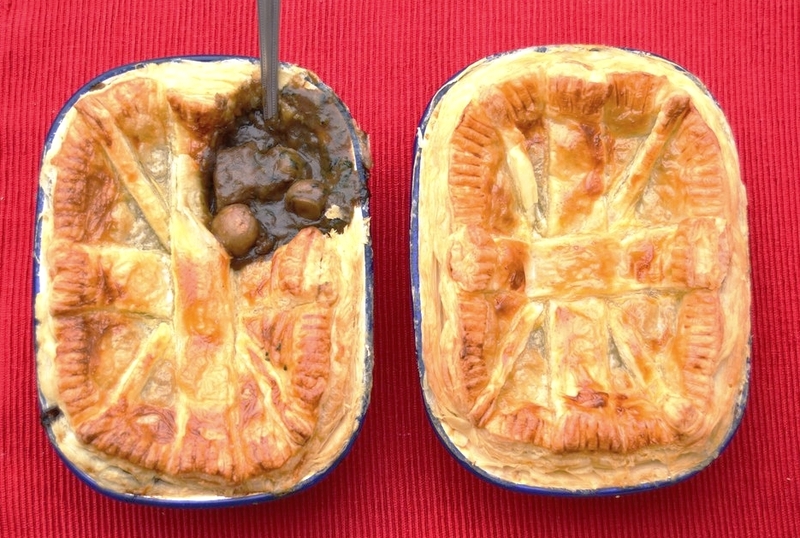 Here's a recipe for 'proper' beer & ale pie made the traditional way with no twists or additions of garlic or tinned tomatoes. 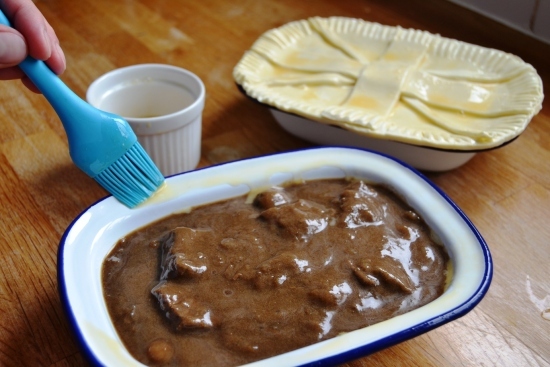 As the beef is slow cooked in ale it becomes soft and tender, so inexpensive cuts become a feast. All the alcohol evaporates during the cooking, so it's fine for kids. Heat the sunflower oil in a large saucepan and cook the onions for around 8-10 minutes until they are soft and have some colour. Turn up the heat, add the beef and stir fry until brown. Sprinkle over the flour and stir until dissolved. Add the ale, stock, brown sauce and Worcester sauce. Give everything a good stir and season to taste. Bring to the boil then turn down the heat and simmer gently for 2 ½ hours, partially covered, stirring occasionally so it doesn't catch on the bottom. Add the mushrooms and parsley. Stir well and simmer for a further 30 minutes without a lid so they gravy can reduce a little. Leave to cool. For best results, refrigerate the pie filling for up to two days before making the pie. 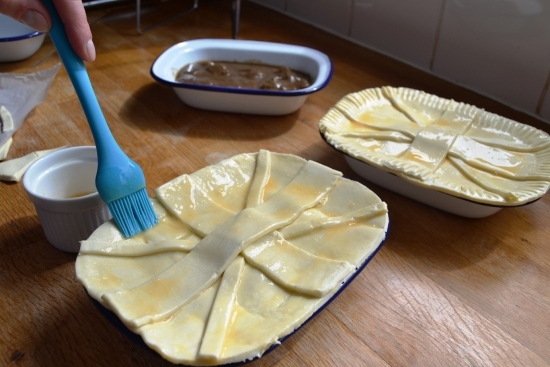 Make a little slit in the top of the pie with a sharp knife. Bake the pie for 30 – 40 minutes in a pre-heated the oven at gas mark 5 / 180 C until piping hot and golden. Leave to rest for 10 minutes before serving.